Graphics by Jade Alana Marshall Design. Jess got in touch with me after Jade designed her business graphics, and I worked with her to create a simple & clean custom child theme for her new site. I used the colour scheme provided by Jade and tied in the fonts also. 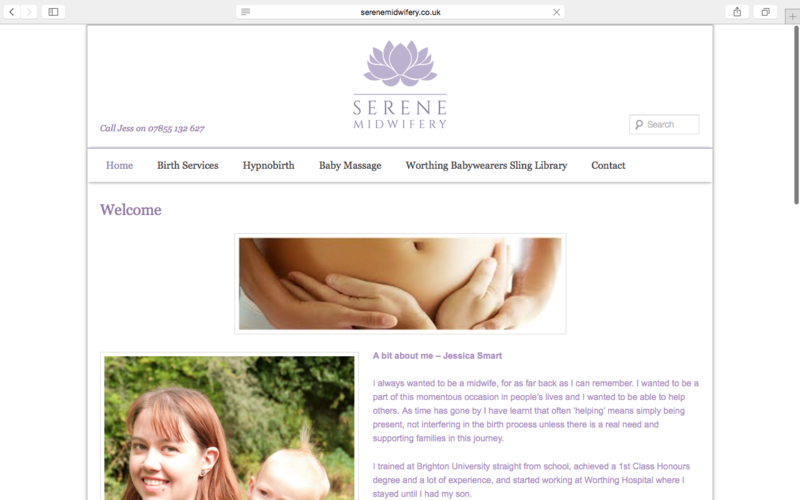 Jess needed to be able to host the Worthing Babywearing Sling Library as part of her website, and so I helped her to set up a page which displays a photo gallery of the available slings, along with a form for enquiries. I installed & configured form with a drop down menu for the sling selection.